I have decided that I would upload some of my favorite backgrounds and pictures that I have right now. Well since it appears that I will not be able to work on anything related to Rainmeter, Winamp, or Chrome for a long time, I have decided to post all of the pictures and renders that I was thinking about using to make skins or themes with. Maybe someone else can take the pictures and put them to good use. Unless I am requested to make a theme or skin, I am considered retired until further notice lol… eventually I may pick the hobby back up again. Well it has been a while since I posted anything to this site. I have recently finished the button design that I started who knows how long ago. I finished rendering one of my all time favorite Koneko Toujou pictures. That took way to long to finish because I am not very good at it. Anyway… I like the picture enough that I will have to do something with it. Not sure what yet but it will be used for something. Well I have a lot of unfinished projects that have built up over time and I have decided to at least let people know what the status of the projects are as of right now. 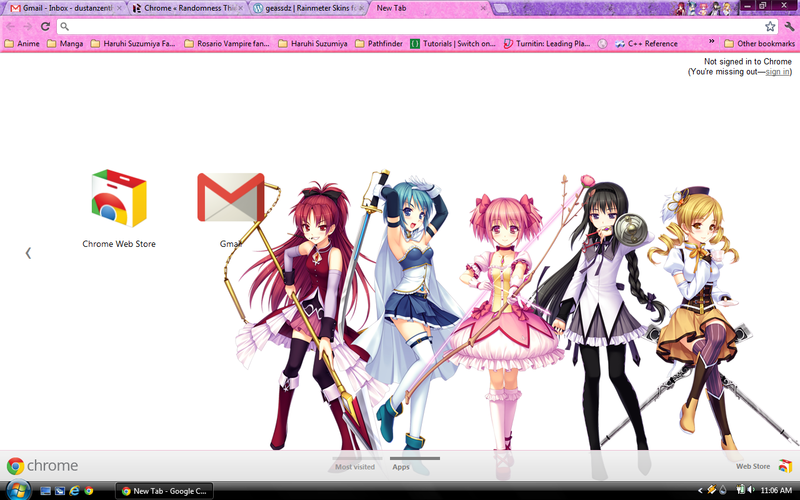 First that chrome theme I started making a long, and I mean long, time ago has not changed. The theme is another Sayori theme. I am not sure if I will work on this one or not. The skin creator program I was developing has failed. Mainly because the language I was using to program it in really limits what I can do with it. So for now that project has been trashed. Although since I am learning how to program Excel macros for work, it might come in handy for making Rainmeters. I just now thought of some ideas that might work if I use Excel but that is just an idea and I will have to look into it later. 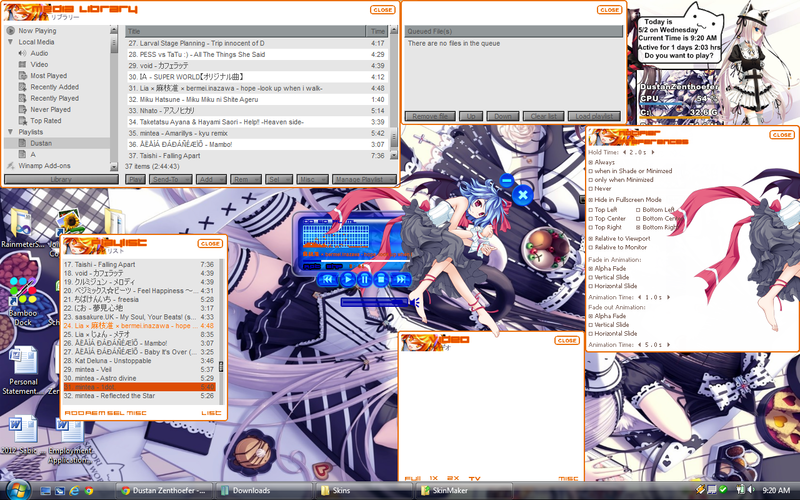 The Winamp skin I was working on is having issues with colors and lining up the visual elements. I have not really worked on it lately since I got really annoyed when it was messing up at one point. 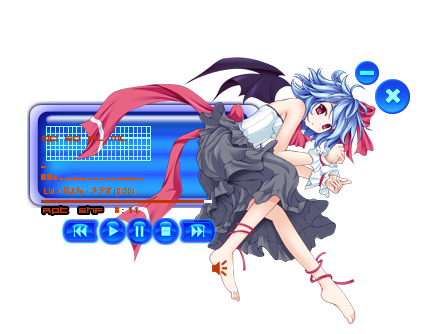 That new Rainmeter design will be worked on this weekend since I have free time. I have already added more buttons and I am working on what type of picture the buttons would look good with. Anyway besides having a backlog of projects that need to be finished I also have a ton of pictures that I really want to make into Rainmeters… Which does not help my workload lol. I hope to get at least one skin design out this weekend. I really hope nothing prevents me from doing it. 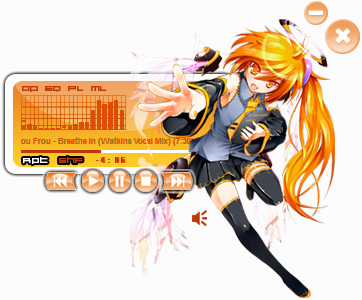 Well I have decided to learn how to make Winamp skins. I am doing it the same way I learnt how to make Rainmeters, start out by editing other people’s skins and then eventually make my own. I figure it should be somewhat easy considering I have already picked up on how some of the stuff works. I obviously still have a lot of work to do on it. 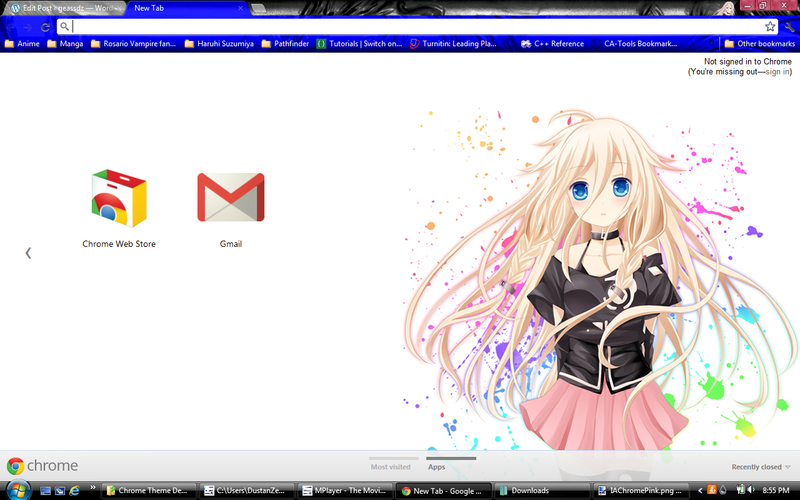 I need to fix the menu buttons on most of the windows and the color setting need to change as well. I don’t know if I feel like doing this or not. It is a lot of work for something I do not plan on using myself. I just wanted to see if it was really that hard to edit these things. Who knows I might finish it. Can I get some opinions on this theme? I might post it on Randomness later not sure if I like it enough. I forgot to mention the fact I never posted the IA themes either so if anyone actually wants one of these themes tell me lol. 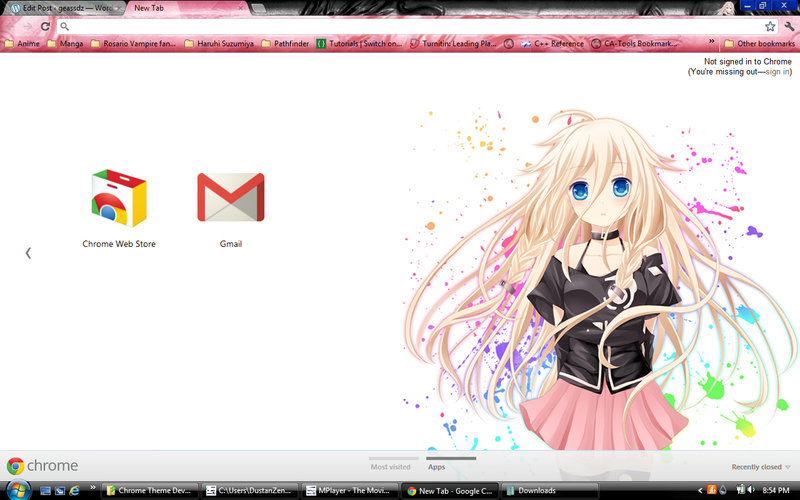 I will admit I was just playing with the cool layer styles when I made the IA themes.